I used Calypso Coral for the card base and stamped some background images also using calypso coral. I used some dsp called Garden Impressions (beautiful paper) and stamped the images in Early Expresso. The greeting is from the above mentioned set. I added embellishments of gold twine and pearls. The above DSP is one of the papers included in the special that’s going on right now, buy three get one set free. 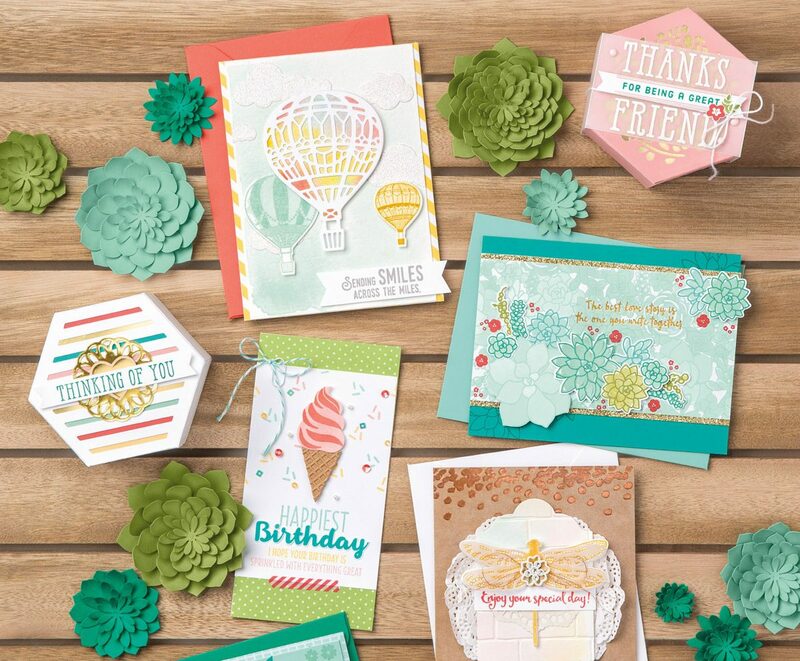 If you would like to purchase any products, here is the link to my online store darleneseitz.stampinup.net and use the host code shown at the beginning of this post. Thanks for reading and have a wonderful crafty day.